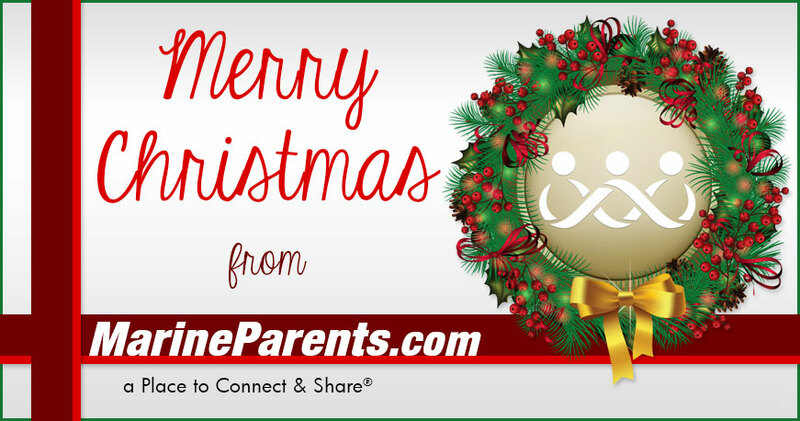 As 2018 comes to an end, we'd like to wish the Marine Parents family a happy holiday season and a Merry Christmas. As 2018 comes to an end, we'd like to wish the Marine Parents family a happy holiday season and a Merry Christmas. Nothing we do would be possible without you, and we truly appreciate all that you do on behalf of our organization and on behalf of our men and women in uniform. We would like to take this opportunity to thank you for some of the work you helped us accomplish with our outreach programs this year. Gold Star Legacy strives to provide support, information, and services to Gold Star family members, to help promote events, memorials, and foundations in memory of their loved ones, and to encourage the public to honor and remember our fallen heroes. This year we connected with Gold Star and White Star family members by hosting the Remembering our Fallen Exhibit, providing materials for remembrance at funerals, promoting Gold Star family causes and memorials, and providing a place to connect and share for White Star family members. Our Warrior Support Team strives to provide resources and fellowship to wounded, ill, and injured troops and veterans, including those living with post-traumatic stress, as well as to provide resources and support to family members. Our volunteers serve meals to injured troops and their families as well as distribute the “Warrior Reintegration Bag” which provides books and resources to veterans as they reintegrate into civilian life after combat-deployment. With your support, we were able to provide warriors at our local VA with Warrior Reintegration Bags and serve hundreds of service members monthly at the Liberty Center in Balboa and the USO in Bethesda. The Luminary Initiative promotes awareness of Gold Star Family Day and urges organizations and individuals in communities throughout the United States to light luminaries at dusk on the last Sunday of each September in honor of our fallen heroes. We are humbled to announce that almost 5,000 individuals participated in luminary lighting events representing all 50 states in 2018. 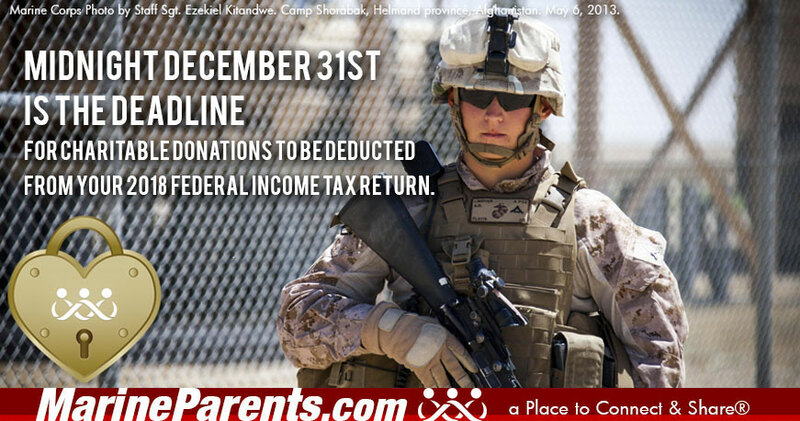 In addition to our outreach programs, MarineParents.com provides informational websites for every stage of the Corps as well as a place to connect and share® in our Official MarineParents.com Facebook Groups. Our informational websites include: MarineParents.com, RecruitParents.com, WhatsAfterBoot.com, AfterTheCorps.com, the Deployment Center, and our Unit Information Database™. It is an honor and a privilege to support those who serve, and your unwavering support is the reason Marine Parents has been able to do so for almost 16 years. We look forward to seeing what 2018 has in store for our outreach programs and services. Help us raise $16,000 by midnight December 31st. Donate now.